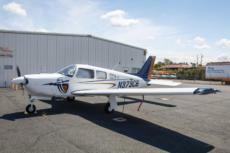 Kengkue Her | Banner A newly acquired CBU Piper Arrow sits on the flight line ready for flight. Sage Zbinden | Banner Lucas Mitose, junior healthcare administration major and Jonah Mackin, Graduate assistant for the Spiritual Life office, both are extremely excited to pack Children Hunger Fund Boxes. 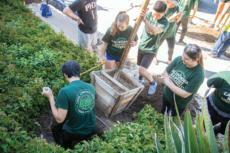 Kengkue Her | Banner Carissa Rivette, sophomore undeclared, Joseph Kim, sophomore biology pre-med, Katelynn Murphy, junior environmental science, and Caleb Lee, sophomore business marketing, measure their hole to see if their tree will fit. 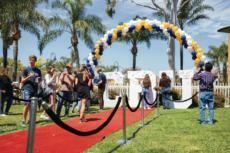 Tyler Bradley | Banner Prospective students walk the red carpet to sign their name after committing to attend California Baptist University. Courtesy of Athletics | Samantha Martirez, junior journalism major, competes in the Battle At The Rock tournament at University of California, Riverside.